The importance of including children’s interests in the educational process is highlighted by most contemporary early childhood curricula. Every child comes from a unique background and has individual needs, interests, experiences, skills, preferences, and their own unique way of learning. So it’s incredibly important that we make room for that individuality. Learning should be offered to children in a way that leads to the activation of their intrinsic motivation- it lays the foundation for them to participate in their own research later in life and have agency to express themselves and take care of their own interests. Daily life as a refugee does not offer much space for parents to entice their children’s curiosity. For many, life is a constant struggle to provide their family with the most basic necessities, such as food, clothes and shelter. Furthermore, children have often had very difficult, sometimes traumatic experiences, which can affect their ability to communicate and make them feel disconnected and isolated. It means they need extra attention and care to help them develop their interests and engage with others. Our Baytna early childhood programme takes curiosity as one of its four guiding principles. 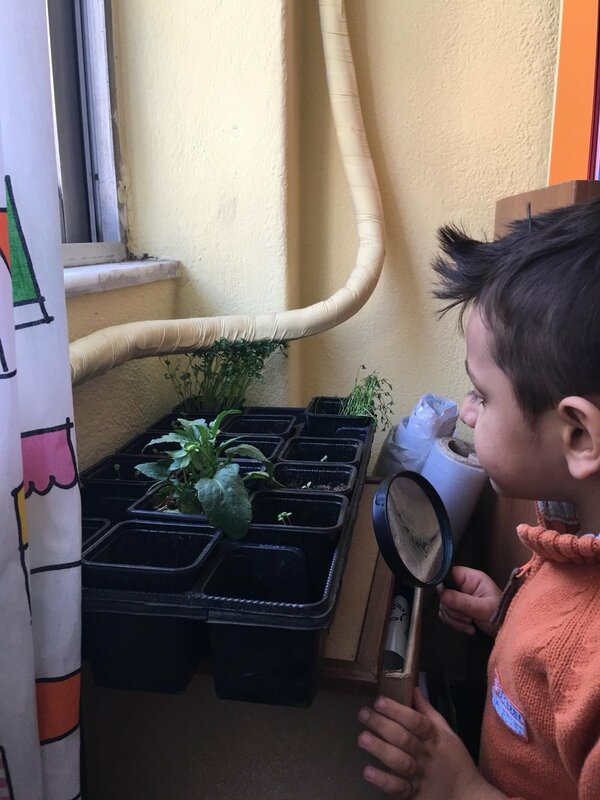 We build on children’s natural desire to learn and sense of curiosity to give children opportunities to develop a sense of agency and being in control of their lives. It’s an absolutely essential service for families in displacement.